You know it when you see it: A super-smart logo design that seems to jump up and stamp itself firmly within your consciousness. We’re talking about the kind of beautifully-designed logo that makes designers wish they’d created it, and clients wish they had one just like it. This type of logo design might look brilliantly simple, but the chances are it took days of work on the behalf of one truly creative branding agency. 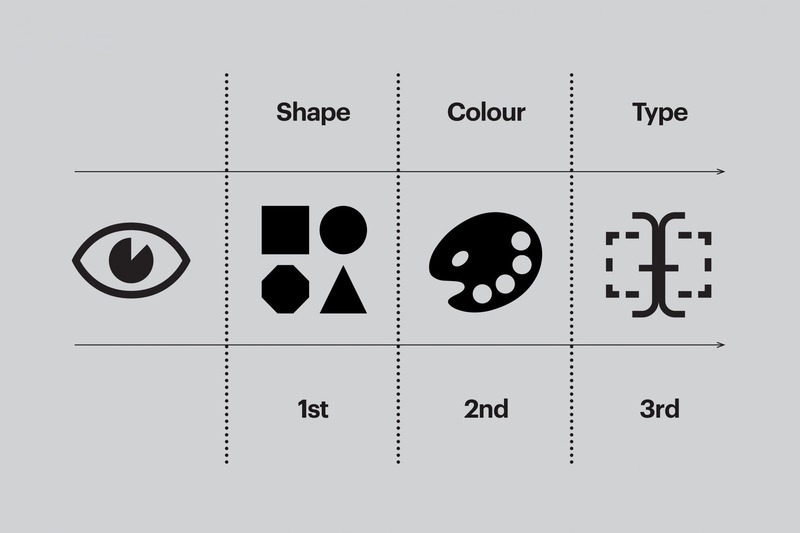 How to design a logo, by Fabrik’s creative director, Stephen Peate. At Fabrik, we know that while every memorable logo begins with a great idea – that’s only one fragment of its back story. We’ve put together this resource page to help you understand the elements that trigger those “Eureka” moments. From rejected ideas, to failed concepts, there’s a lot more in learning how to design a logo than you might think. In fact, coming up with exceptional logo design ideas is rarely a smooth process, even for the best logo design agency in London. There may not be a standard template out there for creating a great logo, but a highly developed, highly flexible process can help you to find your inspiration. Here are our 12 most important steps on “how to design a logo”, taken straight from the processes that we use as a highly experienced and successful logo design agency in London. 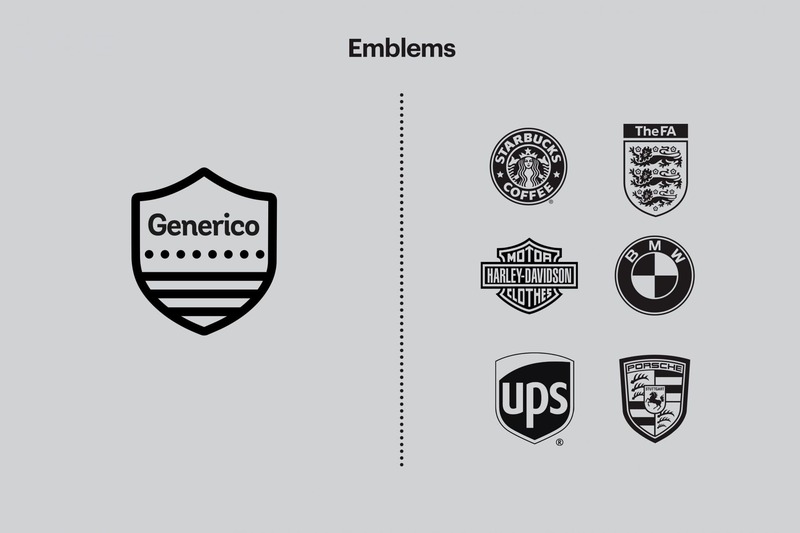 Brand strategy provides a central idea and blueprint on which great logo marks are built. 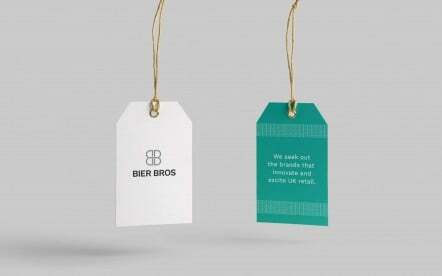 These are often developed as a collaboration between the client, the strategist and the designer. 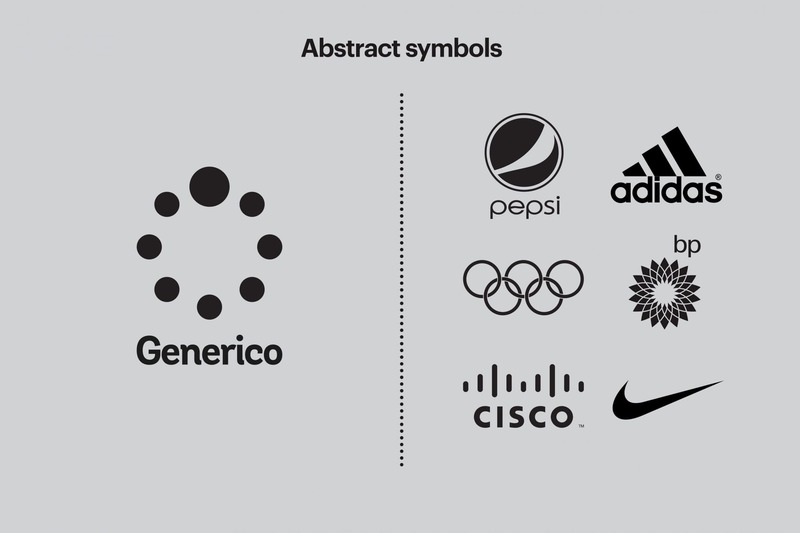 Brand strategy provides a central idea and blueprint on which great logo marks are built. These are often developed as a collaboration between the client, the strategist and the designer. Brand strategies provide the blueprint upon which incredible logos can be built. Usually, a strategy will involve collaboration between clients, designers, and other essential partners in the company. Strategies are crucial because they provide direction. Without some proper up-front thinking and a solid brief, you’re always going to be on the back foot. 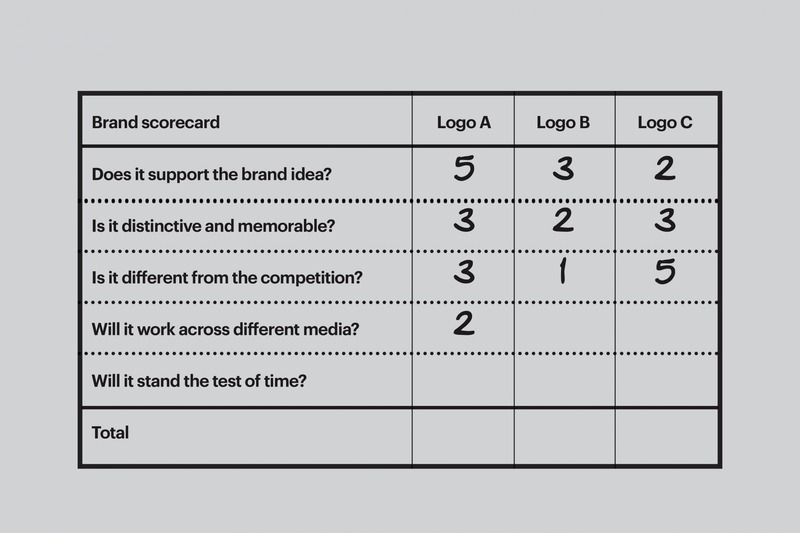 If you can get your hands on a brand strategy report before you start considering how to design a logo, that’s a good start. With any luck, this will provide an insight into the type of organisation you’re working with, its competition, positioning, mission and values. If such a document doesn’t exist, you’ll have to do some legwork yourself. Talk to your client (and preferably get more than one person’s perspective) about who they are, what they stand for, how they see themselves and how they’d like their customers to see them. With or without a brand strategy document, it’s essential to start with a clear creative brief. That means going beyond a couple of notes jotted down during your first phone call or meeting. Figure out what makes the business different, and how you’re going to position it in the marketplace. Write up your thoughts and get your client to sign off on your plan so that everyone knows where they are and what to expect. Remember, the goal is to end us with a high-quality logo design. Creating a logo requires insight and intuition. While insight can be achieved through gathering and interpreting information, intuition is more closely aligned to experience and gut feel. Any logo design agency will tell you that creating a logo requires insight and intuition. While insight can simply be a matter of gathering information, intuition is something you’ll develop the more logo design ideas you create. Begin by looking at the world’s most successful brands. You should be able to draw meaning from their logos – something that expresses their brand message or idea, or shows their personality. A logo is more than just an impact, it’s something that conveys what a business believes in, and if you can give your logo design ideas this sense of “meaning” you’ll be off to a flying start. The best way to achieve meaning, is to begin with some organised creative thinking. Start by extracting concepts, ideas and keywords from the brief and clustering them into overarching themes. 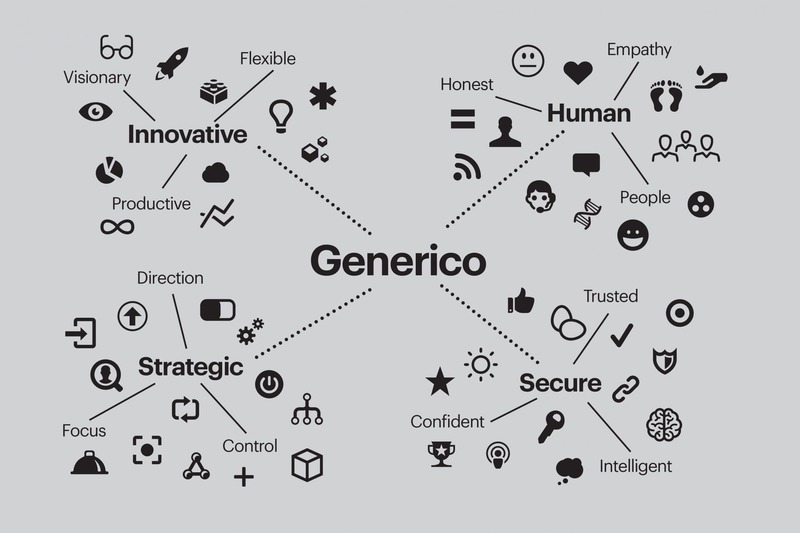 Map out the clichés, symbols, icons and well-established visual language for each theme. Look for crossovers, scope for development or the potential to create something distinctive in your logo design ideas. Don’t simply draw – conceptualise and design. 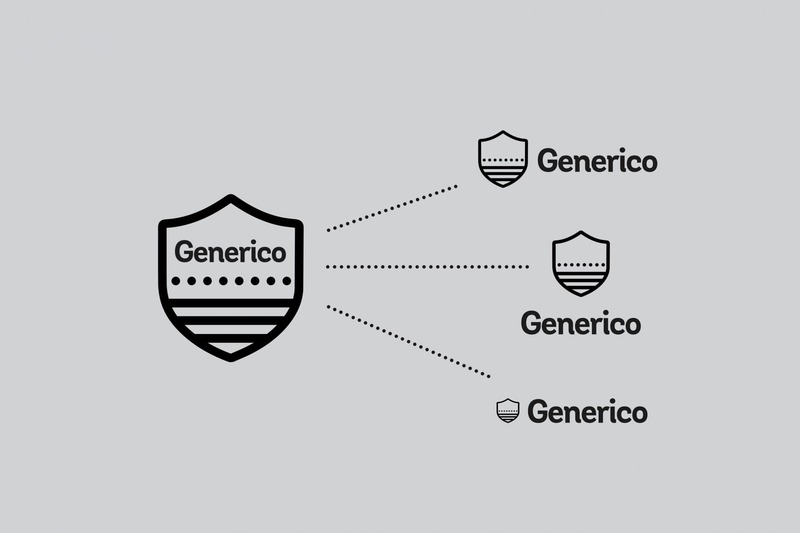 For instance, let’s imagine a logo for a fictional company called “Generico”. 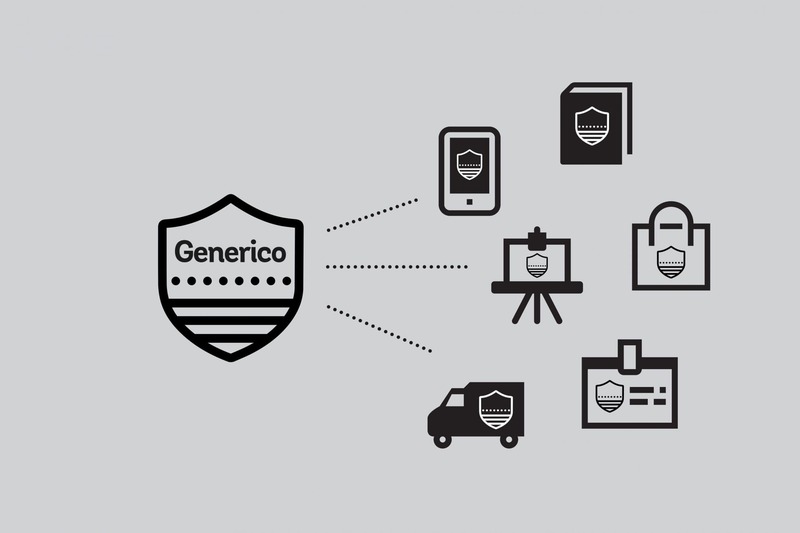 We know that Generico is a forward-thinking business brimming with super-smart people who know how to challenge conventional ideas. 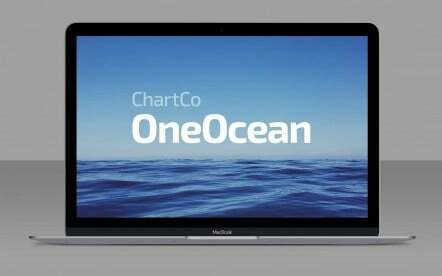 This company is creating powerful logistic software and makes complicated problems simple. Unfortunately, Generico has lived in the shadows for too long. The company has decided it needs to invest, take its product to market, and become a more commercial beast. Here, you’re building a brand from scratch, rather than re-designing an existing entity. This means that you have the perfect opportunity to be creative with your design. 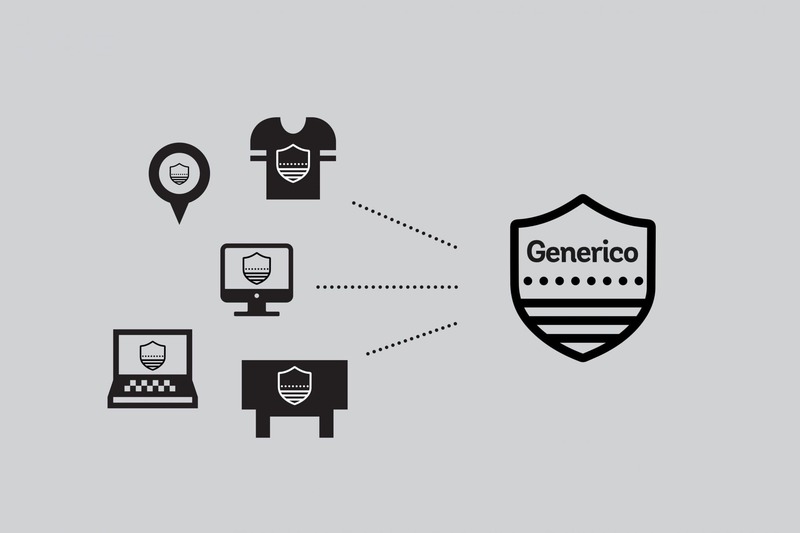 From the information you already have, how do you make Generico shine? Logo’s come in all shapes and sizes. From wordmarks to image-based marks, there are no hard and fast rules about which approach works best. Experiment, but be sure the ideas fit the brief. Logo’s come in all shapes and sizes. From wordmarks to image-based marks, there are no hard and fast rules about which approach works best. Experiment, but be sure the ideas fit the brief. Logo’s come in all shapes and sizes. From wordmarks to image-based marks, there are no hard and fast rules about which approach works best. Experiment, but be sure the ideas fit the brief. Logo’s come in all shapes and sizes. From wordmarks to image-based marks, there are no hard and fast rules about which approach works best. Experiment, but be sure the ideas fit the brief. Logo’s come in all shapes and sizes. From wordmarks to image-based marks, there are no hard and fast rules about which approach works best. Experiment, but be sure the ideas fit the brief. A logo isn’t a brand. 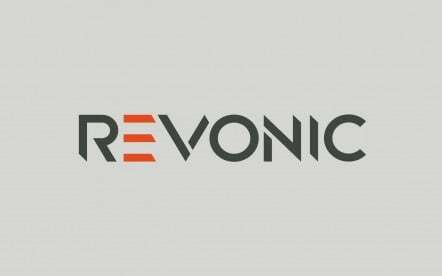 The word logo is short for logotype – graphic designer speak for a custom-lettered word. 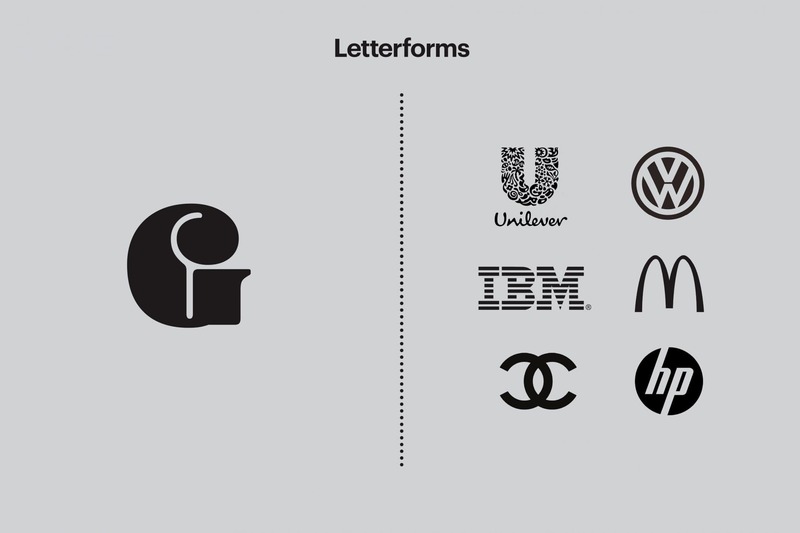 You can see why the term “logo” became so popular – it’s dead catchy. But, what people are usually referring to when they talk about a logo isn’t a word – but an emblem, symbol, monogram, initials, or any kind of graphic device used to represent a company, product, or service. A logo, or brand mark, is the flag in front of every organisation. Just like people, logos come in different shapes, sizes, and varieties. A logo can be as simple as a wordmark, or as complex as an image. There are no hard and fast rules about which approach works best. Experiment with your logo design ideas, but make sure that whatever you produce fits the brief. Figuring out how to design a logo means not limiting your thinking to one particular approach. Why not be adventurous and try your hand at different logo design ideas? Test new formats, and find out what fits. What works? What doesn’t? Would your idea work better this way, or that way? Try coming up with an idea for all the categories below, even if you have a hunch about what your client will go for. There’s always the opportunity to explore some combinations and crossovers between categories too. Remember, clients can be unpredictable, so test the water. 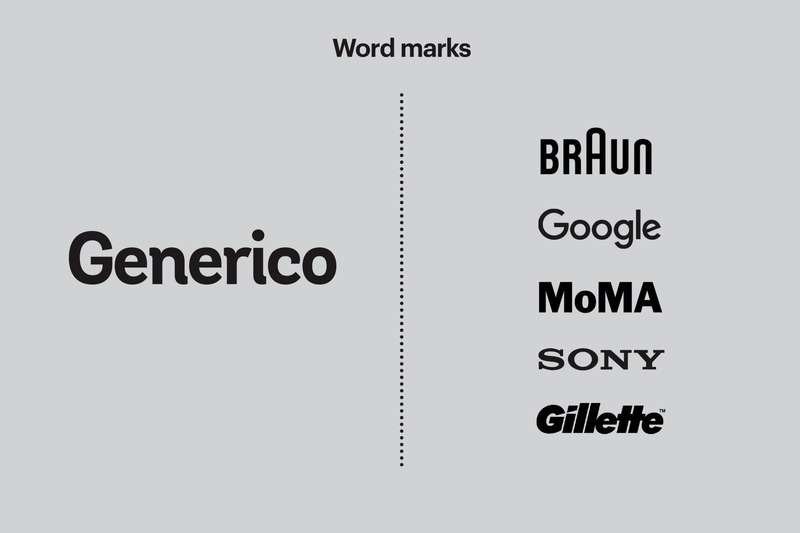 Wordmarks: Can you convey brand personality through purely typographical means? Think FedEx, Braun, Tate, and Google. 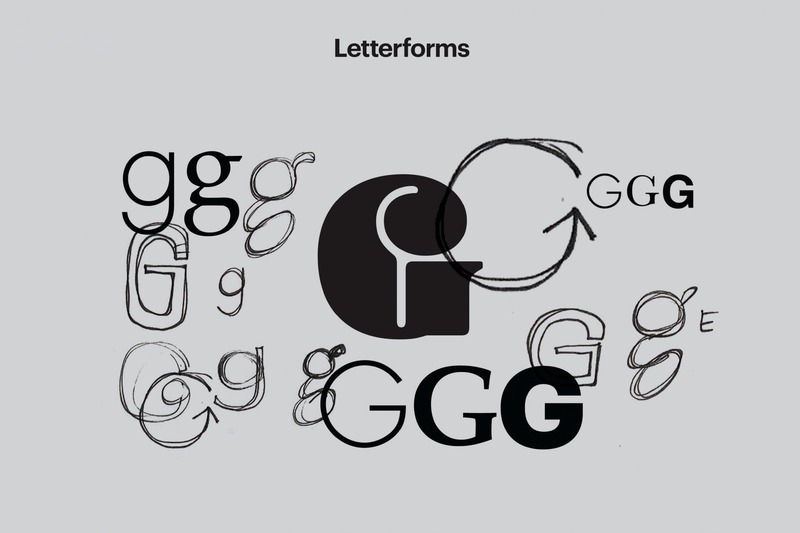 Letterforms: Could your logo design be as simple as the company’s initials? 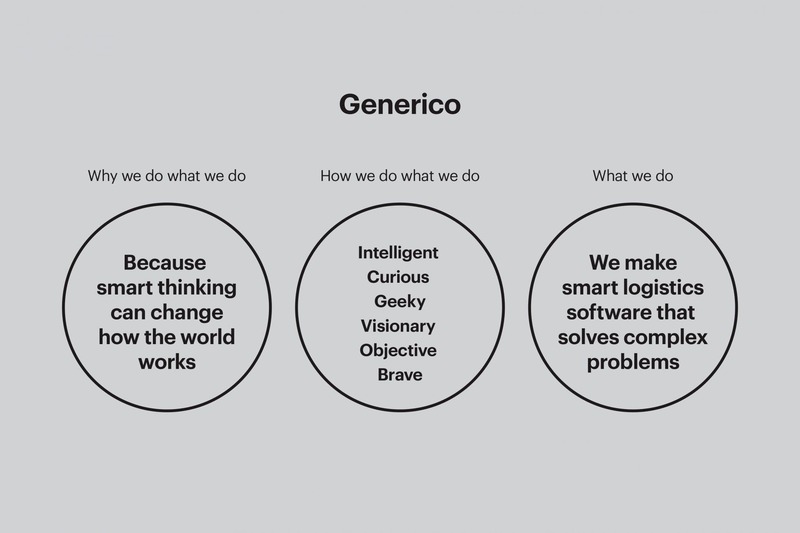 Think IBM, Unilever, and Airbnb. Emblems: s there a shape or holding device that the company name is inextricably connected with? Think Warner Bros, Starbucks, Harley Davidson, and Levis. 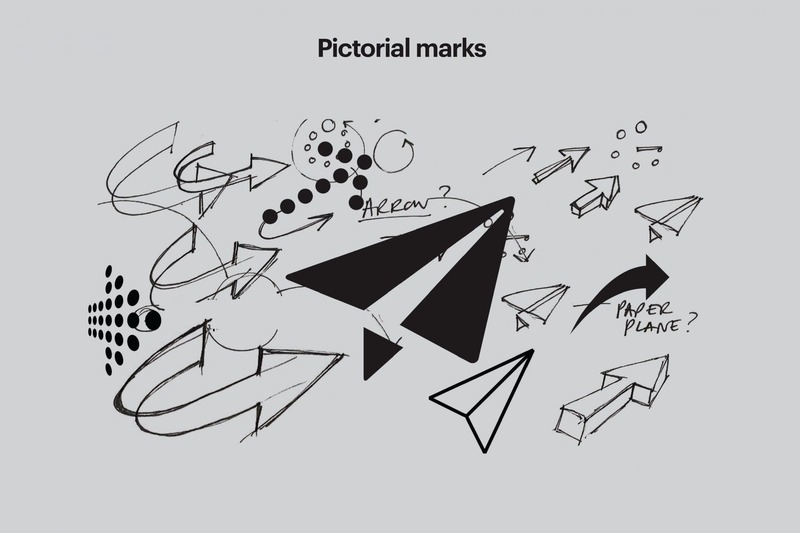 Pictorial marks: Could you simplify an immediately recognisable image? Think about Twitter, Shell, and Apple. 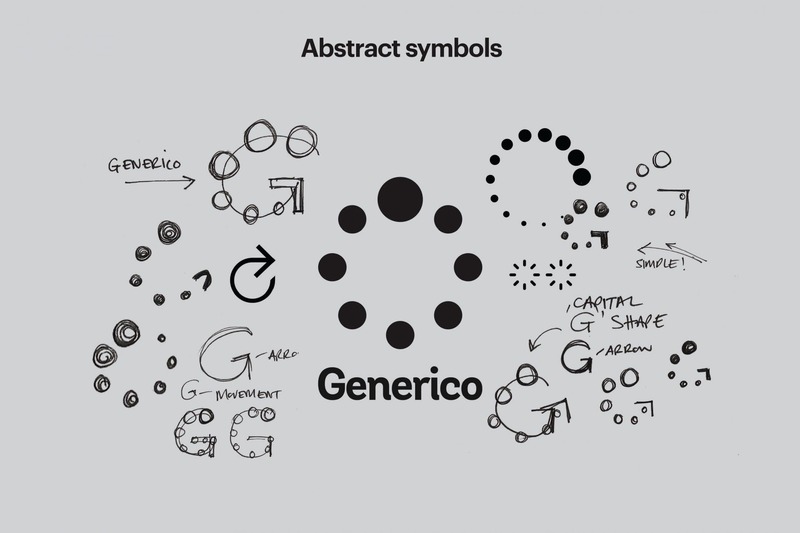 Abstract symbols: Can you invent a symbol that represents the brand? Think Pepsi, Nike, and Audi. Getting to grips with a company’s structure and brand architecture will ensure the logo designs are future-proofed, and bring consistency to a clients portfolio of services, products and communications. The best logo design ideas come when you get to grips with the company structure and brand architecture. A strong understanding of the business you’re designing for future-proofs your concepts, and brings consistency to your client’s portfolio. Before you unleash your creativity onto your logo design ideas, think about where the logo will fit in the bigger picture. Get to grips with the structure of the company you’re working with. What’s the fundamental framework of the organisation? Does it have sub-brands, or different services and products that fit together? Is there a master brand, or several different brands? Should different offerings feel like they are part of the same family? Or distant relatives? Brand architecture, as it’s known, might not sound like the most exciting aspect of logo design, but tackling this now can spare your blushes down the line. Though information about business structure, along with associated internal politics should have been considered as part of your initial strategy work – it’s your job as a designer or logo design agency to start making sense of things visually. 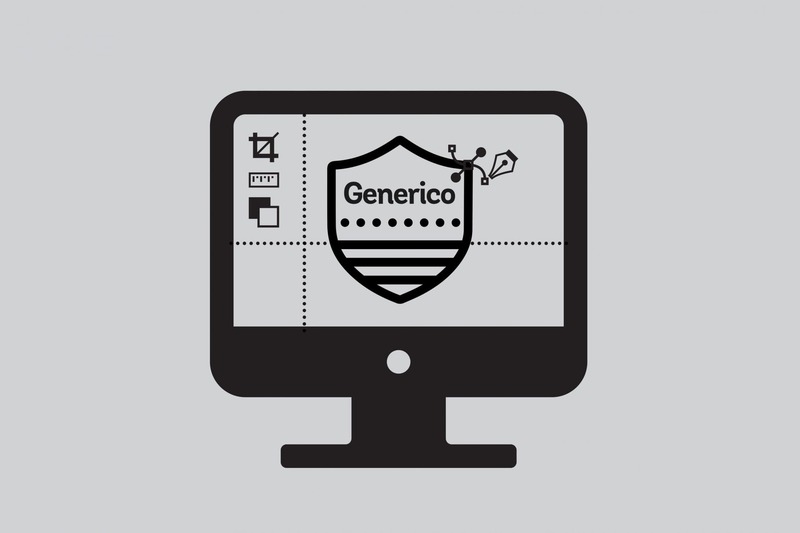 Sketch your ideas of the brand framework out, before you jump onto your Mac. This will help you to clarify your thinking and make sense of your ideas. 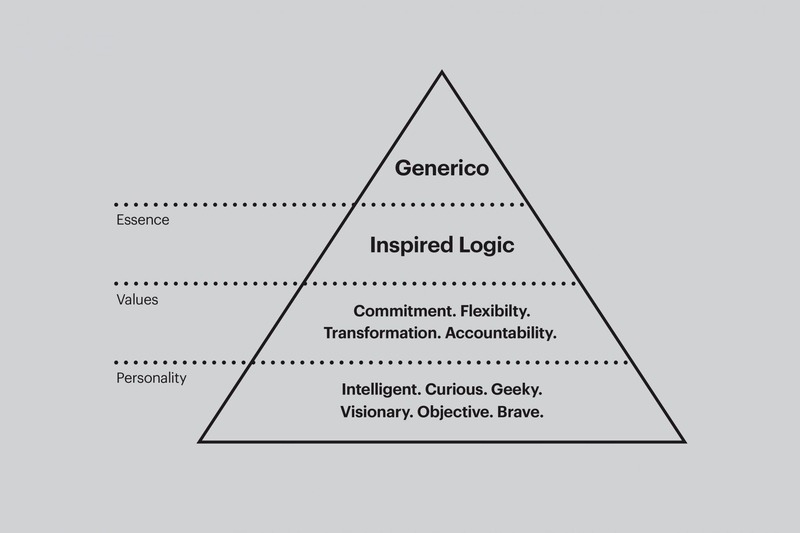 Broadly speaking, the brand architecture of most organisations falls into one of the following categories, or is a hybrid of them. Monolithic: The brand uses a single visual identity and name across its full portfolio. For example, Virgin Atlantic, Virgin Media, Virgin Active and Virgin Money. 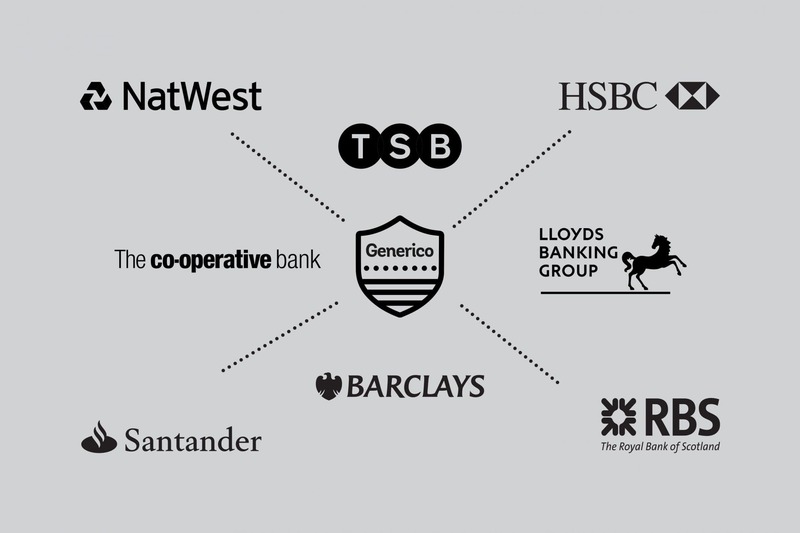 Endorsed: The organisation owns a variety of brands, each of which is endorsed by the group name. For example, Shredded Wheat by Nestlé, KitKat by Nestlé and Nescafé by Nestlé. Branded: The organisation owns several brands or companies that appear to be unrelated. For example, Vauxhall, Chevrolet, Cadillac and Opel. All General Motors brands. 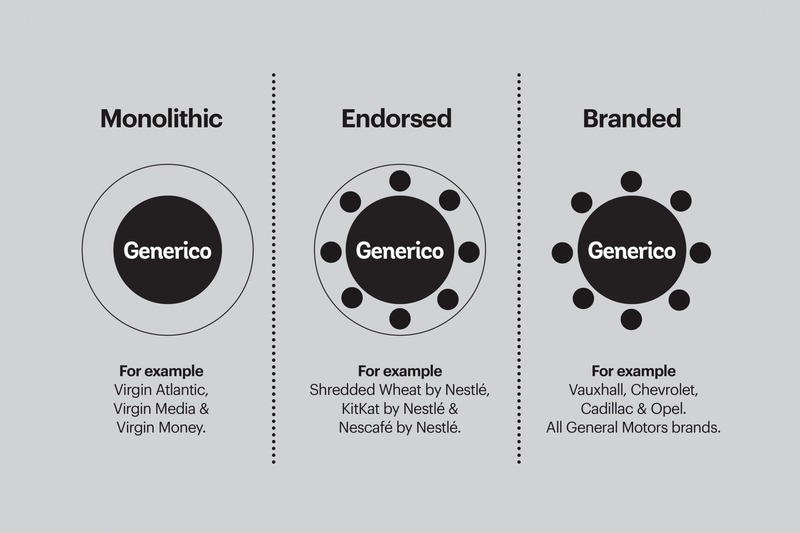 No two brand architectures are exactly alike, and no one structure is better than another. Each has its own advantages and disadvantages to consider. When considering logo design ideas, architecture will help you to plan, but remember that nothing is set in stone. It can be useful to develop a framework over time as trends and circumstances change. There’s an infinite level of scope for variation in each system. Remember to experiment, and don’t be afraid to suggest various alternatives to achieve the best logo design. Our brains are hardwired to process distinctive shapes before colour and words. Symbols can become so instantly recognisable that organisations are able to drop their name altogether. You don’t need a degree in human behaviour to run a successful logo design agency, but it helps. Our brains are naturally hardwired to process shapes before colour and words. That’s why the right symbol can allow businesses to stop using a name entirely. Research shows us that the human brain processes sensory information in a very specific way. When it comes to logo design, you’ll find that you need a basic knowledge of human behaviour to create something that has a real impact. For instance, we tend to acknowledge shapes before language, which is worth bearing in mind when you’re creating a logo that needs to compete in a highly congested sector. 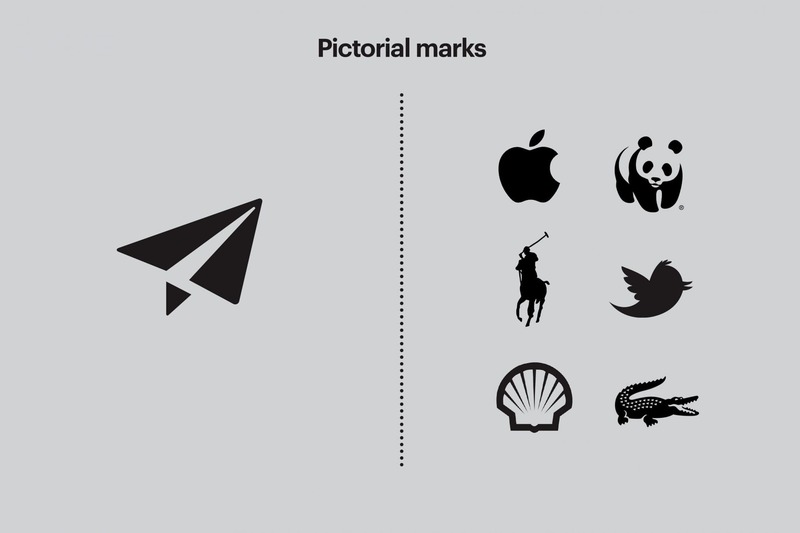 Logo design ideas that use distinct symbols can become more recognisable through repeat exposure. Nike and Apple are two examples of companies who have used symbols to drop their name entirely. Shape: Shapes come first. We need shapes to identify an item or word. The brain acknowledges distinctive shapes better, leaving a lasting imprint on the memory. Colour: Colours are the second most important feature in our sequence of cognition. Colours evoke emotions and unique perceptions, but must be used carefully. Some companies practically own a colour, like Coca Cola, or Facebook. Type: Our brains take the most time to process language. This means that your content comes third in your logo design ideas. It’s important to keep this in mind when you’re working with a complex brand mark. Concentrate on ideas initially, not the execution, and be sure to know when to stop. Then apply quality control, narrow your focus and work up your preferred logo designs for presentation. Concentrate on ideas initially, not the execution, and be sure to know when to stop. Then apply quality control, narrow your focus and work up your preferred logo designs for presentation. Concentrate on ideas initially, not the execution, and be sure to know when to stop. Then apply quality control, narrow your focus and work up your preferred logo designs for presentation. Concentrate on ideas initially, not the execution, and be sure to know when to stop. Then apply quality control, narrow your focus and work up your preferred logo designs for presentation. Concentrate on ideas initially, not the execution, and be sure to know when to stop. Then apply quality control, narrow your focus and work up your preferred logo designs for presentation. Generating logo design ideas is an exciting process to begin with, as your enthusiasm is at its strongest, and the possibilities are infinite. During this time, the more ideas you can come up with, the better – but how do you know when to stop? Where do you draw the line? It’s important to set yourself a good definitive deadline, and plenty of clear goals. For instance, commit to generating 10 type-only word marks in an hour, 20 letterforms in two hours, or as many abstract symbols as you can in a day. Stick to your goal religiously. If you hit a roadblock with your logo design ideas, and you’re struggling for inspiration, ask yourself plenty of questions. This should help to inspire you. For instance, could the brand idea be expressed better by exaggerating something? Taking things literally? Using a double-meaning? Adapting a metaphor? Changing your perspective? Using comparison? Grab the equipment you use to cultivate your logo design ideas – whether it’s a mouse, a pen, or anything else you can work on quickly, and translate your ideas onto the page or screen as fast as possible. Remember, these are just quick sketches, they’re not the logo design you’re going to show your end client. Avoid fiddling around too much and tweaking. Stop when you told yourself you would. Remember to set aside some time to properly review whatever you come up with at a later stage. From there, you can come up with a shortlist of logo design ideas that you might want to develop, and move on. Much of the ground work will have been done during the research and brand strategy stage. But it’s still worth doing a final search to ensure your perfect logo isn’t going to land you in hot water. Competitive analysis is something we frequently recommend at Fabrik, because it’s so essential to helping to build a brand style, and differentiate a company from others within its space. With a little luck, most of the ground work for your logo design ideas will have been done during the research and brand strategy stage. But it’s still worth doing a final search to ensure that your idea of the perfect logo design doesn’t land you and your client in hot water. 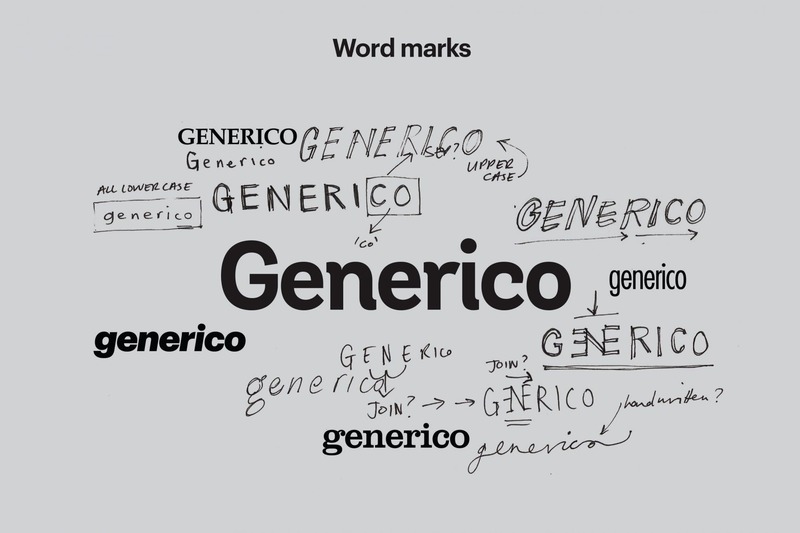 It’s no good coming up with a brilliant logo if it’s virtually identical to the one used by one of your client’s closest competitors, or worse – one of the world’s best-known brands. Do your homework. Check out the brand’s rivals. Check out the whole sector for that matter. What symbols do they use? 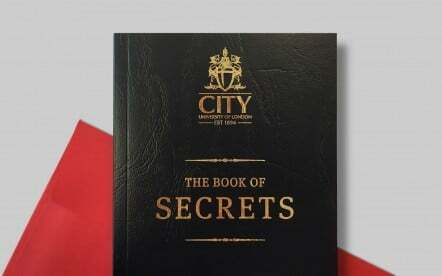 What fonts do they use? What colours do they use? Research is key to building some great logo design ideas. Look for ways that you can make the business you’re working for stand out. By all means, take some time to hunt around on logo blogs and check out trends on agency websites – but make sure that you never just copy what’s already out there. Get inspired by what you see, and be aware of what’s fashionable in the world of branding – but always aim to present logo design ideas that are not only different from the competition, but also simple and timeless. 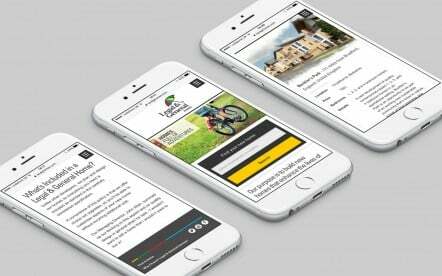 Choose a small selection of the most visible applications and see how the front- running designs work on them. Think about potential production issues, and remember to include digital channels, such as social media icons. Choose a small selection of the most visible applications and see how the front- running designs work on them. Think about potential production issues, and remember to include digital channels, such as social media icons. Choose a small selection of the most visible applications and see how the front- running designs work on them. Think about potential production issues, and remember to include digital channels, such as social media icons. 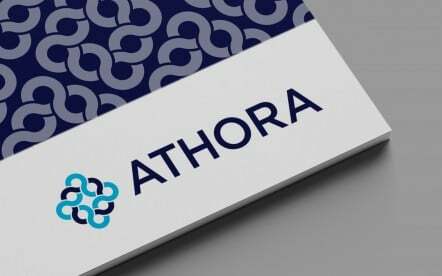 If you want to be a powerful logo design agency in London, or learn how to design a logo that really has an impact, then you need to make sure that you’re not afraid to experiment. Today’s brand marks live in an increasingly complicated multi-channel environment. In layman’s terms, this means that how your logo design ideas work as an app icon on your smartphone or in your Twitter feed is just as important as how it looks on traditional media, the side of a bus or behind the reception desk in your client’s office building. Think about how your logo design ideas will perform in multiple different areas. For instance, how will this brilliant design of yours work in a tall skinny space? How will it work in a wide shallow space? Does it still work in black and white? Could it be stitched onto a garment? Could it be screen printed on a balloon? Try to make sure that you can answer these questions as early as possible in the design process, and you’ll save yourself a world of problems later. During this early stage of the project, think about creating some rough mock-ups of your logo designs. Brand marks rarely exist in a vacuum, and there are countless resources out there that can help you to achieve great professional-looking mock-ups as quickly as you’d like. Mock-ups can help you, and your client to visualise the potential of your logo design ideas beyond a single image on a piece of paper. Aid your own decision making through a clearly defined criteria against which the client can also judge your designs. This will avoid design by committee, and ensure the right choices are made. An easy way to improve your decision-making process when it comes to logo design ideas, is to set yourself some clear criteria that you can use to judge your shortlist. 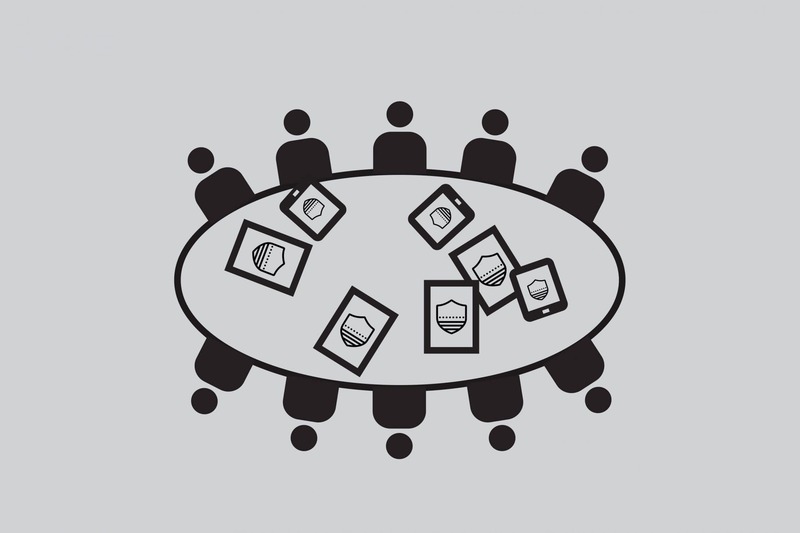 This will help to avoid the problem of “design by committee”, and ensure you make the right choice for your client. Sometimes, in the world of logo design, your gut feeling will tell you exactly which way you should be headed. However, most of the time, one person’s gut feeling can be another person’s gut wrench. Finding the right way to move forward can be difficult without some consistency, and clients often lack the confidence to make big decisions. As humans, we struggle to be objective and move beyond decisions made on what we simply like, or dislike. Sometimes, you can find yourself stuck between a rock and a hard place when opinion is divided within a project team. Do my logo designs work in black and white? Do my logo design ideas work across all media? Will my concepts stand the test of time? Are these images recognisable and memorable? Are the logo design ideas I’ve shortlisted unique? Do my logo ideas support the brand manifesto? Are they representative of the brand as a whole? You won’t always be able to pinpoint the logo design that your client will like most, but you will be able to use the criteria you’ve established to bring your mind back into focus on the task at hand. Remember, there’s a lot more to branding than a logo. While your brand mark can’t do everything alone, it can be a valuable part of a business image, thanks to the right shapes, typography, and colours. Listen to feedback constructively. Have the confidence to discount personal preference, such as I don’t like purple. If a particular issue or concern is raised more than once however, take note. When you first start working on logo design ideas, it can be difficult to listen to the things that you don’t want to hear. Unfortunately, if you want your designs to really work, and you don’t want your client to turn to another logo design agency for help, then you’re going to have to listen to feedback constructively. Without completely abandoning your creative principals, you might have to concede your personal preferences are not going to make it to the finishing line. Once you’ve created a shortlist, hopefully one that contains just a few of your best logo design ideas, try canvassing opinions from as many different people as possible. Ask your friends what they think of your logo design options. Speak to other people around your workspace, or call up an industry insider and ask for their opinion. Is your logo design easy to read, does it convey the right idea, have people seen something similar elsewhere before? Listen to opinions from different people – not just other designers. If there’s time, you might want to run some workshops or focus groups – you could even try creating a survey with a target audience. You’ll probably hear a lot of different random stuff that you’ll be able to disregard in the long run. However, if a lot of people are saying the same thing, then you’ll need to take notice and address common issues that come up. Step back and take a long, hard look at your masterpiece. Ensure it’s legible in all colour variants and sizes. Check the spacing between characters and the relationship between the symbol and type. Okay, you’ve created a lot of different logo design ideas. Now step back and take a long, hard look at the masterpiece ahead. Make sure that your logo designs are legible in all different variants, sizes, and colours, and check the spacing between the characters, the symbols, and the typefaces you’ve used. Once you’ve got a final logo design selected, it’s easy to simply sit back and take your eye off the ball. In fact, even the most qualified logo design agencies do this. But it’s important to remember that the devil is in the detail. Make sure that you double check everything. That means making sure that the curves in your brand marks are as smooth as can be. Make sure that the spacing between each character is perfect, and that all shapes and symbols are in complete proportion. Once you think you’ve got everything down to a fine art – double check it again. Zoom right in and check for any glitches, print out your logo design as large as you possibly can and stare at it for a while, then scale it down to 100 pixels and see what happens. You probably won’t get another chance to perform this kind of due diligence. Once you’ve released your logo design into the wild, it’s gone for good – so try and get it right first time. Once you’re finished refining, stop working. Stop making changes. You’re done. Create master artwork for every eventual application and channel, from full colour to single colour and from digital to print. Test all file formats before releasing final artwork for implementation. We have one final tip for you before we close this resource page. Make sure that you create master artwork for every eventual application and channel that you might use – from full colour to single colour pieces on both print and digital platforms. Make sure that you test all the different file formats before you hand over the final artwork for implementation. There’s nothing worse than seeing your wonderful masterpiece badly reproduced or mis-handled. You can help to prevent a lot of heartache by producing a well-organised and comprehensive set of master artworks for your clients. 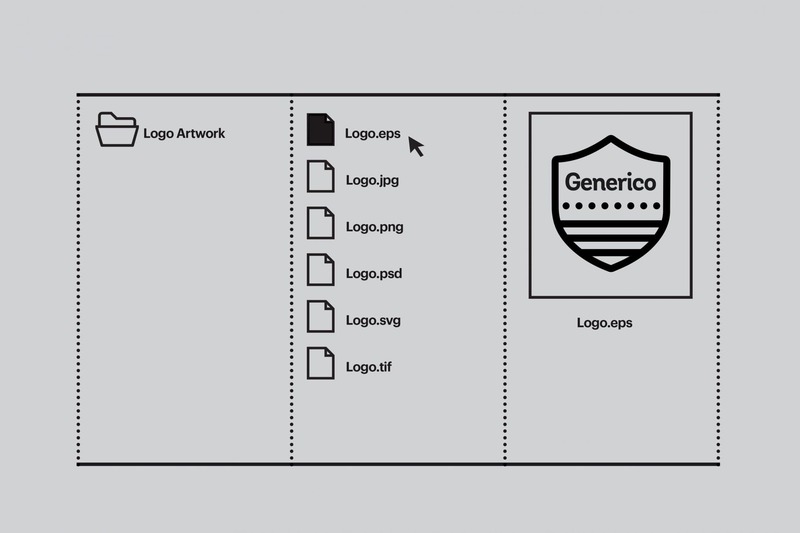 We’ll leave creating detailed brand guideline documents for another day, but a few simple rules and the right file formats should help you to get great, consistent reproductions in your logo design ideas. Remember that you should at least cover all the common graphic file formats, such as CMYK, EPS, JPG, and RGB. This will help to prevent any mistakes, and keep inevitable email requests to a minimum, while helping to ensure that your clients aren’t left to their own devices. Ultimately, there’s no concrete, sure-fire way to come up with impeccable logo design ideas every time. You’ll need to tailor your process to suit the needs and goals of the project at hand, as well as adapting to your own unique ways of working. While some logo designers prefer to generate dozens of rough ideas to get started, others will simply work tirelessly on a few logo ideas to help create more comprehensive prototypes for each possibility. At the end of the day, it’s your unique creativity that counts. No number of bells and whistles will compensate for a lack of creative, fresh thinking, and a simple rough sketch isn’t going to stop your great ideas from shining through. Though following the steps above won’t guarantee that a client will sign off on your favourite idea, they can ensure that you have a pretty robust plan in place for your next logo design assignment. What’s more, with this resource, you should feel more confident about knowing how to design a logo that really resonates with your customer. 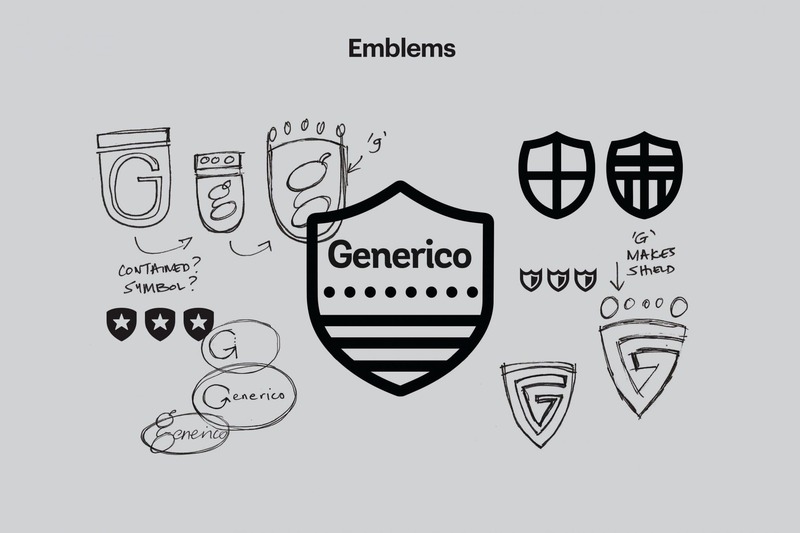 By improving your overall sense of confidence, and keeping your logo design ideas on the right track, this plan should prevent any serious mistakes. Always remember that life would be boring without a creative logo, and every project you take on should be unique, with its own aims, expectations, and budgets. 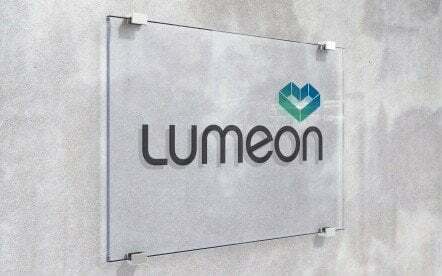 A company's visual identity should be distinctive enough to make it instantly recognisable, with or withour its logo. Find out how to create memorable visual identities in the next instalment of Brand Fabrik. Fabrik’s full blown branding process usually takes between 3 and 6 months, but a fairly straightforward logo design project can easily be completed within similar number of weeks. As we’ve outlined above our approach process is entirely bespoke, so each logo design project is as unique as each client. Therefore it’s tricky to say exactly how long without first understanding your objectives. We would be very interested to know more about what you have in mind. These are quite interesting tips about logo design. It is very true that outstanding creative designs attracts attention and creates a positive impression about a brand so its better it is done by experts in the field. Nice post! 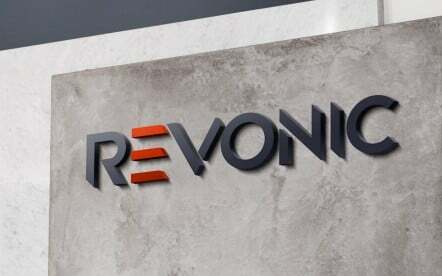 I think concept is a core element when looking to design a logo for a business which has to make a connection with its consumer and that is why custom logo design – especially in London – is a pretty hard thing and is not everyone’s cup of tea. I like the concept, some useful things to keep in mind! Keep in mind for logo designing that tools matter, as many of the tools are local and doesn’t provide that much satisfaction in results. Thank for your insightful article and for sharing your process – its great to appreciate your process. There are definitely elements that I need to apply in my process. What I love most about this article is that it highlights the multitude of steps that go into creating a great logo – this justifies the often misunderstood cost of branding and creating how creating a logo is part of a much larger process.